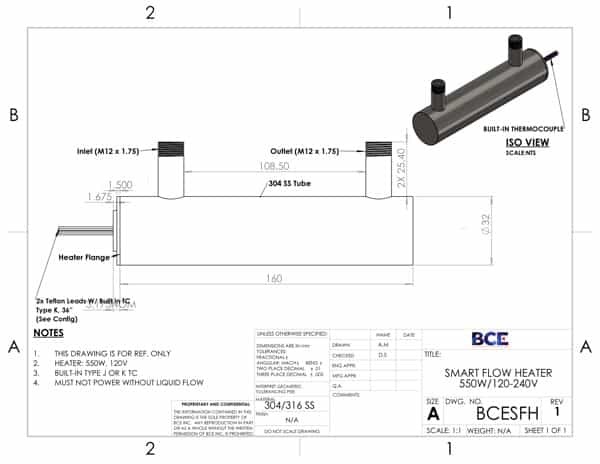 BCE designed a simple yet effective unit using a custom elongated KF40 flange with two three-slot single female receptacles. 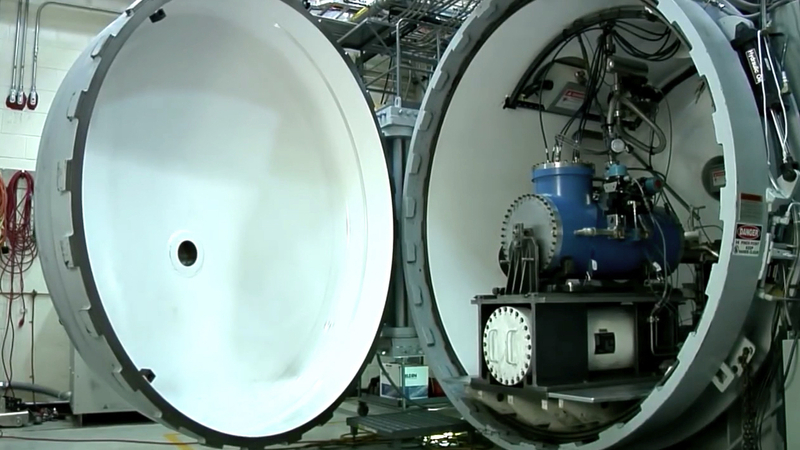 The customer was able to relocate the power system to the outside chamber increasing the available space within the vacuum chamber while maintaining the desired vacuum rating. 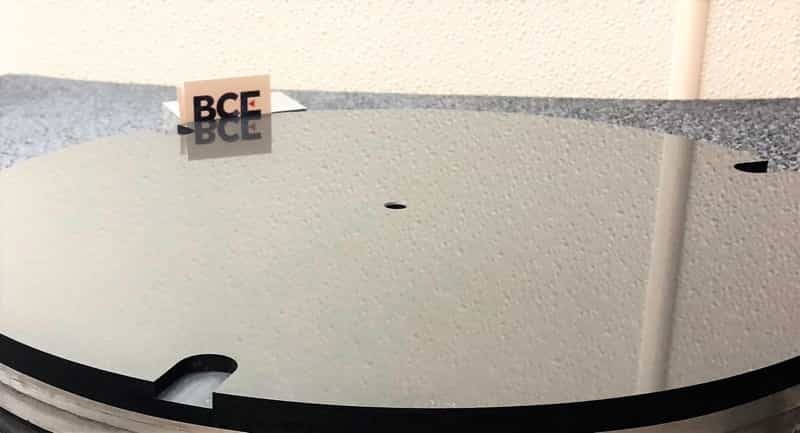 BCE’s Epoxy chemical adhesion, the strongest mechanism of any adhesive bond, made the seal possible. The viscoelastic nature of the epoxy absorbs vibrations and allows for a better performance by reducing fatigue. Download the BCE Application Note here. All of us at BCE (Belilove Company-Engineers) wish our customers, partners, vendors and friends a very Happy Holiday Season and a wonderful 2019! What do the fuel cell, bio-med, laboratory, food, pharmaceutical, medical, semiconductor, and electronics industries all have in common? Applications in their processes requiring a fast responding and accurate high purity fluid heater. Each of these industries include manufacturing processes that require a small and efficient heating source as a component of their production. These heaters must be ruggedly designed, made from materials immune to process contamination, and be vacuum tight. The heaters will be subject to high temperatures, harsh solvents, and corrosive gases. Many times they must maintain a seal for full vacuum, demonstrate a unique heating profile, and maintain very close control. Capable of handling high vacuum. Isolation the process media from heating element. Isolation from other area of contamination. Very accurate control, including internal sensors. Fast heat up and cool down. Few manufacturers offer electric heaters with all of these features with an off-the-shelf product, so a custom (or semi-custom) heater is required. 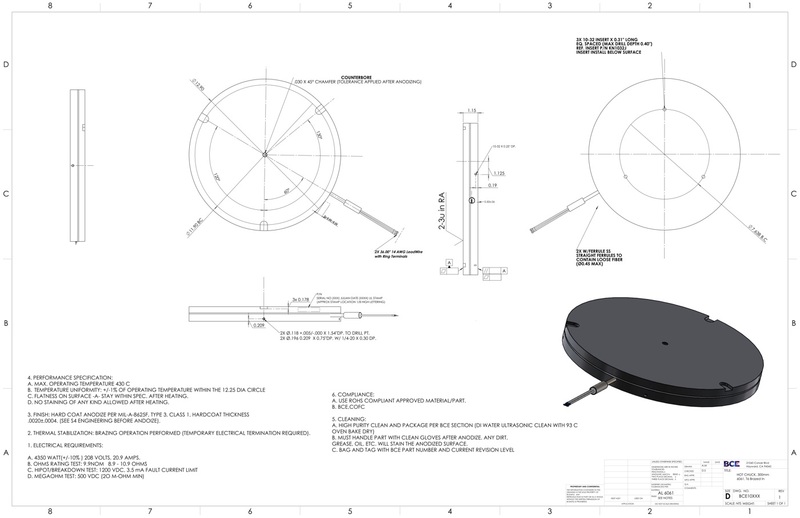 Heater customization allows for specific application requirement to be addressed. 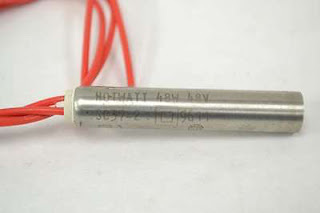 Examples are type of internal sensor (RTD or TC), the use of chemical inert glass liners, a profiled heating pattern, and specific wetted materials. 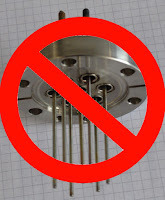 Using stock screw plug immersion heater for these applications should be avoided. This category of heater will not stand up to the rigors of the application, as they are designed for general industrial service. They are not intended for high purity, will not meet material compatibility requirements, have poor controllability and are bulky in size. The answer is in a custom high purity fluid heater designed with the specific process in mind. Available in a variety of voltages. Available in a wide range of watt densities. 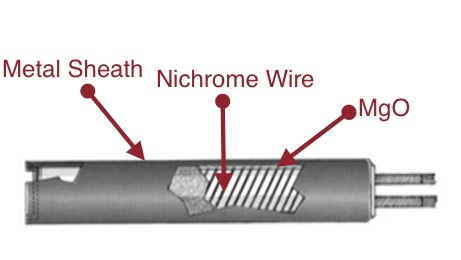 Effective heated area can be profiled to generate a liner temperature profile. Careful review of the application is important and the help of an experienced heater application engineer is required. Choose a vendor with a long, proven track record of success. The outcome of the test, process or product will be infinitely improved. Clean fluid, flow-through heating system. Many original equipment manufacturers require precise temperature control and a very compact package to heat clean fluids. Equipment examples are semiconductor gas processing equipment, kidney dialysis (hemodialysis) machines, process gas analyzers, ink preheating systems, photoresist coating equipment, and parts cleaning equipment. Electric heaters used in these applications must be compact, lightweight, and made of materials that won't contaminate samples. They also must be fast responding and provide large amounts of power when required. BCE, a Northern California manufacturer of custom electric heating elements, developed their "Mini Clean Flow" heater for these types of applications. 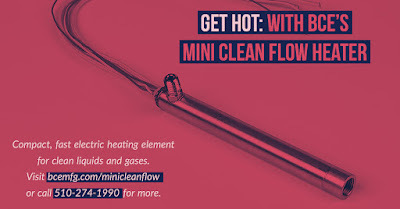 The Mini Clean Flow is a very compact, fast responding electric heating element designed for applications where the heating of clean fluids is required, most often in the semiconductor, medical, and laboratory equipment industries. Designed with high power ratings wrapped in a small package, these specialized heaters offer ultra-fast heat-up and precise, accurate temperature control. Mini Clean Flow heaters combine inlet and outlet connections along with a baffled stainless steel enclosure, creating a turbulent flow pattern for efficient heat transfer. 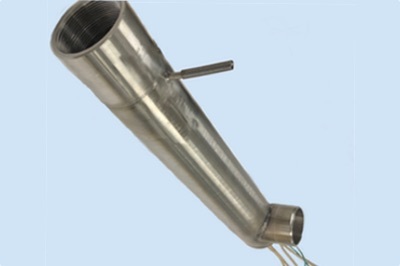 Sealed resistance heaters are used to isolate process fluids from having contact with the elements directly. 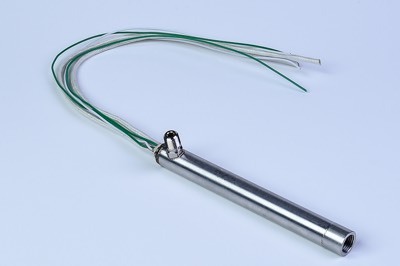 Internal thermocouples provide for outlet temperature regulation as well as for maximum sheath temperature control. 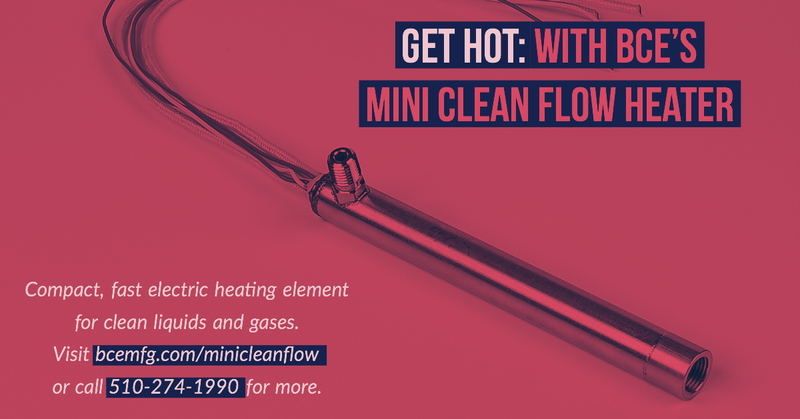 The Mini Clean Flow's advanced mechanical design, along with its high power density and overall low mass, provides the end-user with a very efficient and precise heating solution. For more information, contact BCE. Semiconductor fabrication involves numerous processes, materials, and specialized equipment. The base semiconductor material from which integrated circuits and microchips are manufactured comes in the form of round, thin crystalline disks referred to as wafers. During semiconductor production, wafer temperature uniformity is one of the most critical factors affecting product quality and consistency. To increase the speed at which a physical or chemical reaction takes place, heat is applied at various stages of the process. 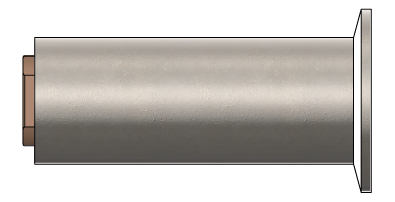 Heat is applied through the use of heated chucks which provide precise thermal uniformity which, as mentioned above, is critical for production. To summarize, the goal of the heated chuck is to provide a very high level of temperature uniformity across the entire wafer surface so that processing output is highly consistent, repeatable and efficient. to replace a cast aluminum heater plagued with surface finish problems. Poor surface finish equates to poor thermal uniformity and heat transfer. To add insult to injury, the vendor was quoting extremely long lead-times for replacements. 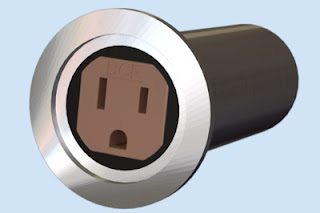 Using their broad experience in semiconductor chuck heater design, BCE knew immediately the best solution would be a vacuum brazed-in 6061 T6 aluminum heater with a 2-3 Ra μin surface. 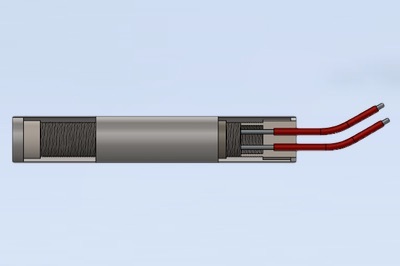 BCE designed a chuck heater using their own proprietary internal element patterns, notches, and thermocouple holes, as well as adding additional manufacturing processes to provide the 2-3 Ra μin finish. Vacuum integrity for the customer has been greatly increased as well as contact with the ceramic workpiece and temperature uniformity. 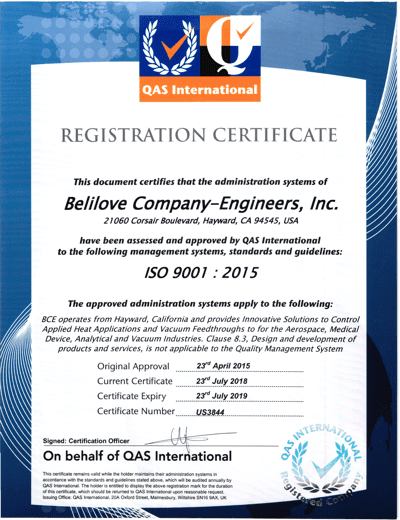 For more information, contact BCE by calling 510-274-1990 or through visiting their website at https://bcemfg.com. 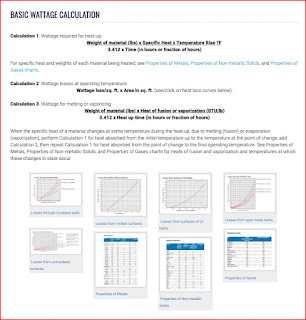 The safety and performance of electric heating elements is dependent upon the user's proper handling, installation, control, application, and maintenance. While it is impossible to anticipate all the operating conditions for electric heaters, the following items are universal precautions that must be considered in every situation. Always have a qualified person install the heating element in accordance with the National Electrical Code and/or local codes. Always use extension wire rated for the current, voltage, and exposure temperatures suitable for the application. Always use the proper environmentally rated electrical connection and housing for the type of service the heater will see. 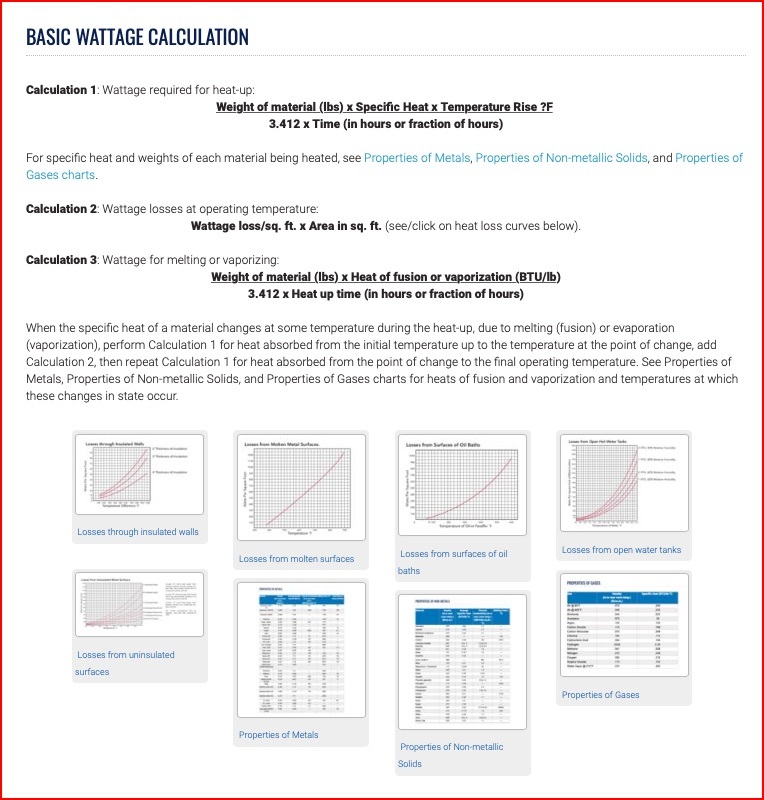 Use temperature controlling and/or limiting devices with electric heaters. Use ground fault protection where required. Do not apply higher voltages than the marking on the heater indicates. 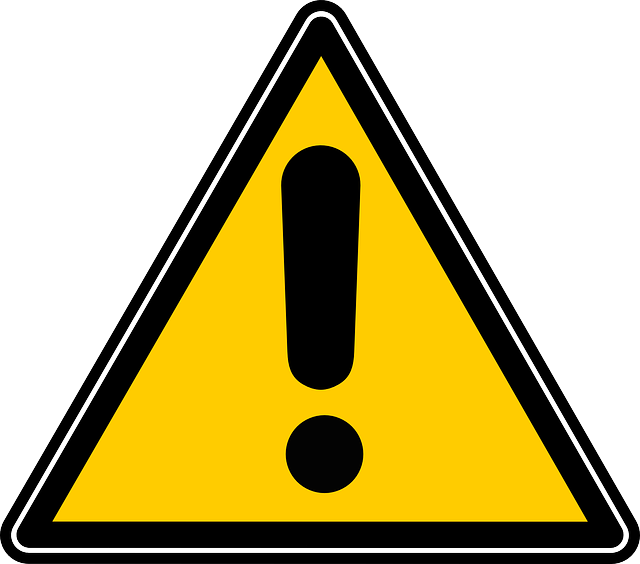 Do not operate heaters in thermally insulated conditions where sheath temperatures may exceed the recommended maximum. 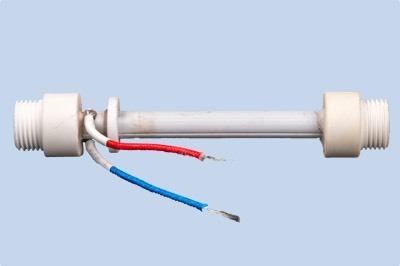 Do not expose heaters to conditions, substances or contaminants that can damage, change, or destroy the integrity of the heater's sheath or electrical insulation. Heaters by their nature can absorb moisture which can cause high leakage current. A megohm test to the manufacturers specification should be performed to ensure moisture levels are within acceptable standards. Do not apply heaters with operating sheath temperatures that exceed the safe exposure temperature of the process media. At sea level, the earth's atmosphere exerts a standard pressure upon us of 14.7 pounds per square inch absolute (PSIA), or 29.92" of mercury (Hg), or 760 mm of mercury (Torr). All of these values refer to "standard atmosphere" which is measured at sea level. 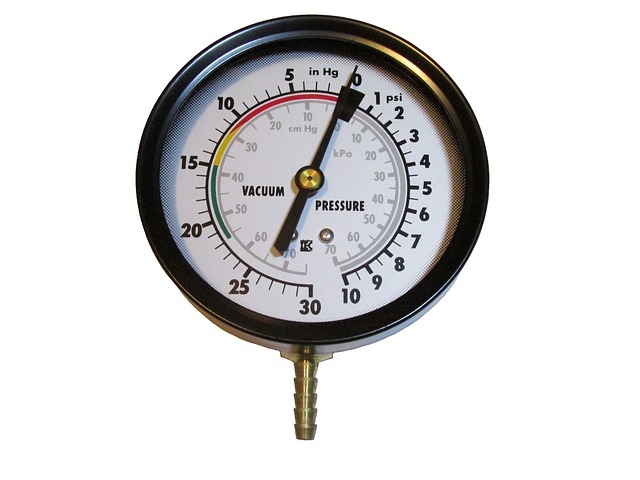 Vacuum is a term used to describe an area, zone, or compartment containing less pressure than atmospheric pressure. Vacuum is measured in inches of mercury (Hg) in the United States. 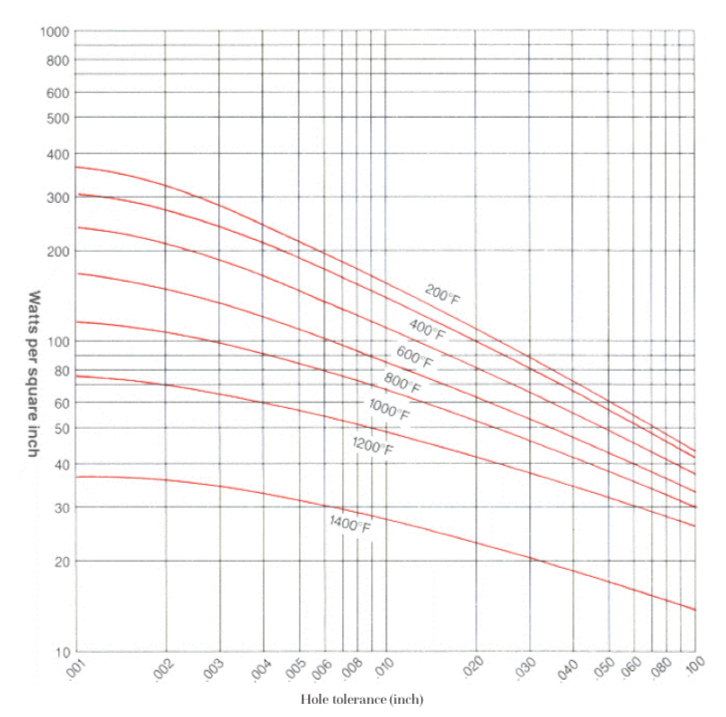 There are two different scales to measure vacuum. 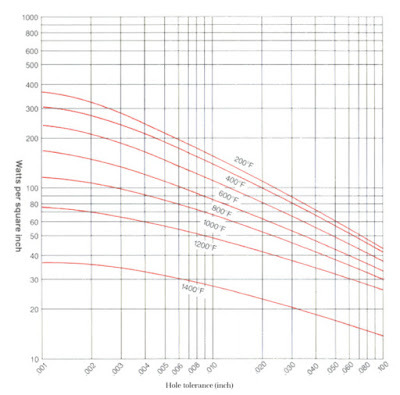 One scale is referred to as "inches of mercury gauge vacuum" ("HgV), where the measuring range starts at 0 inches of mercury (atmospheric pressure) and goes up to 29.92 inches of mercury, known as perfect vacuum (not achievable on Earth). 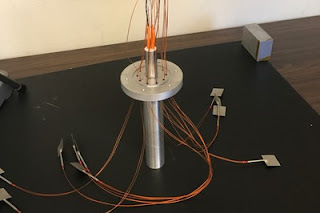 The alternative scale is "inches of mercury absolute vacuum" ("HgA), which reverses the "HgV scale, having it instead read 29.92 inches of mercury at atmospheric pressure and 0 inches of mercury at perfect vacuum. 24 inches of Hg gauge = 5.92 inches of mercury absolute. It is very important to determine what scale you are using, meaning gauge or absolute. A misunderstanding can result in large errors. The unit "Torr" is used when working in higher vacuum ranges (low absolute pressure). 1 Torr equals 1 millimeter (mm) of mercury in absolute pressure. Considering one linear inch equals 25.4 mm, and atmospheric pressure (at sea level) is 29.92 inches of mercury, then using the equation 29.92 inches x 25.4 mm = 760 Torr. 760 Torr is 0 vacuum, while 0 Torr is perfect vacuum. 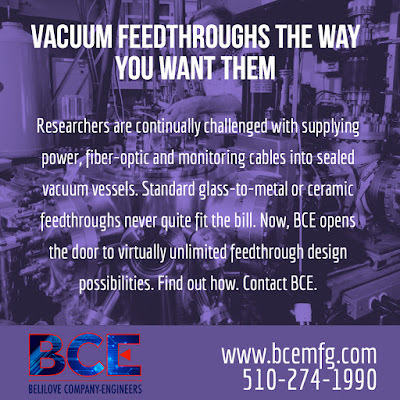 BCE is a leading manufacturer of electrical, fiber optic, and tubing feedthroughs for use in vacuum applications. 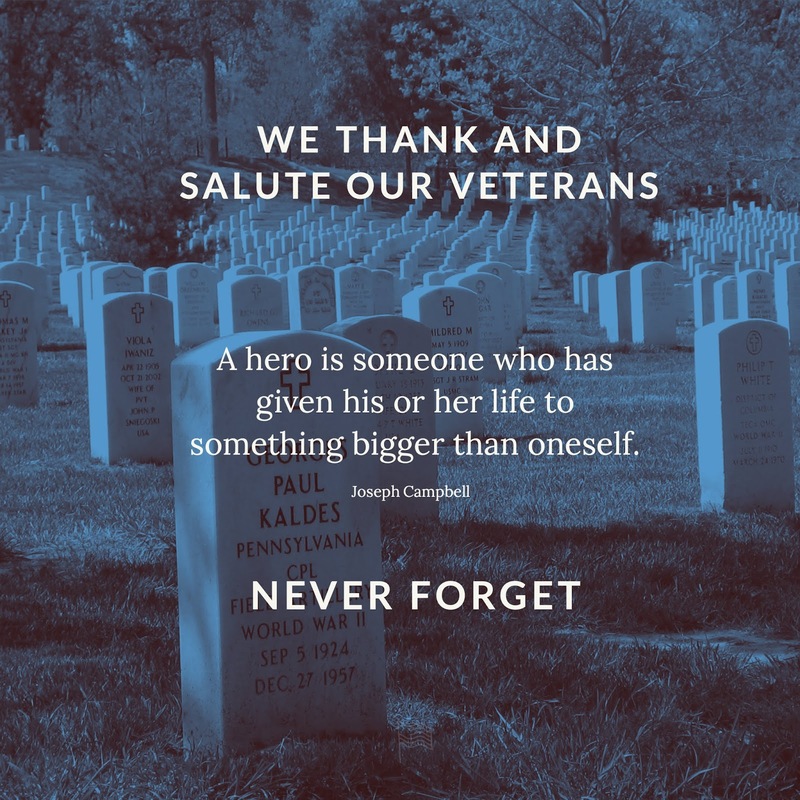 Visit https://bcemfg.com or call (510) 274-1990 to learn more. 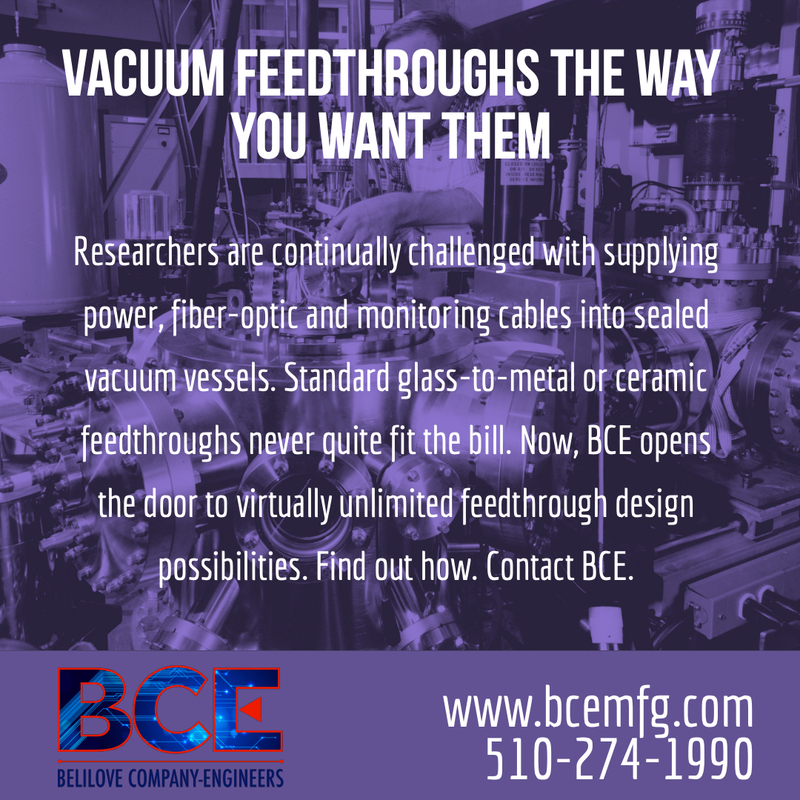 BCE, a California manufacturer of electric heating elements and vacuum feedthroughs, has extensive in-house machining capabilities providing BCE a competitive advantage with customized products and quick prototype turnaround. 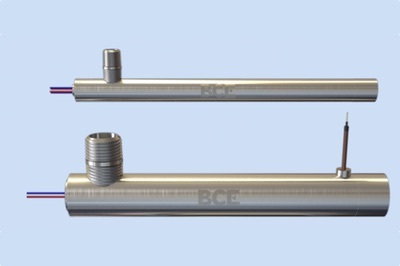 BCE produces machined components for their specialized cartridge heaters, vacuum feedthroughs, and custom thermal assemblies. A good example of their in-house capabilities is their complete machining process for wafer chuck heaters used in the semiconductor industry. 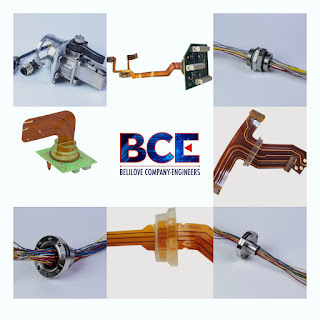 BCE machines the complete assembly, with grooved patterns to accommodate interference fit, vacuum brazed, or welded-in heaters and / or cooling tubes. BCE can both deliver fast prototypes as well as handle production manufacturing in both standard and exotic materials. 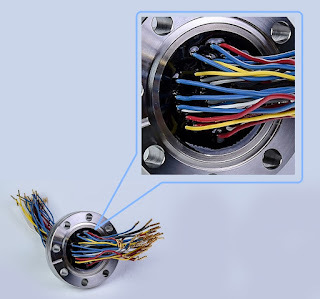 Equipment manufacturers and scientific researchers are continually challenged with supplying power, fiber-optic, control, and monitoring cables into sealed vacuum vessels. Whether due to space restrictions, special geometries, or number and type of conductors, standard glass-to-metal or ceramic feedthroughs never quite fit the bill. Unfortunately, because of limited options, many designers are forced to compromise and go for an off-the-shelf solution. 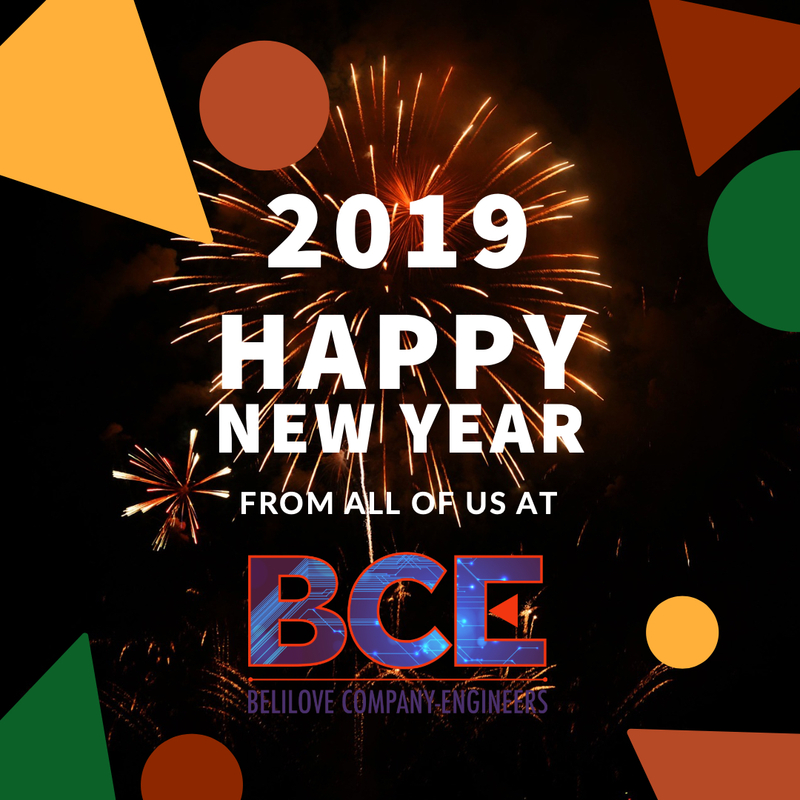 BCE designs, engineers, and manufacturers feedthroughs that can handle custom shapes, tight angles, curves, shielded wire and still provide a tight seal. The point of view that epoxy-based feedthroughs are inferior to glass-to-metal feedthroughs in terms of sealing and outgassing may have once been true, but modern manufacturing techniques and new epoxy compounds have all but eliminated those concerns. Modern epoxy formulations are more capable of enduring greater mechanical stresses, operating under wider temperature ranges, and sustaining exposure to harsher chemicals than ever before. Today's epoxy-based feedthroughs are excellent choices for even the most challenging feedthrough applications. Take BCE's proprietary epoxy compound for instance. 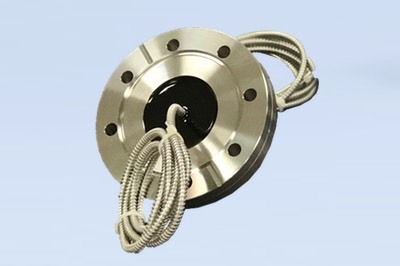 It seals to 1 X 10E-9 cc/sec of Helium under high vacuum and high pressure. Concerns of outgassing have been erased with the formulation meeting NASA’s ASTM E-595 low-outgassing specification, the industry standard test for measuring outgassing in adhesives and other materials. Developed to screen for low outgassing materials for use in deep space, the test determines the volatile content of material samples placed in a heated vacuum chamber under tightly controlled humidity, temperature, and vacuum conditions. PCB feedthrough with clear epoxy feedthrough. 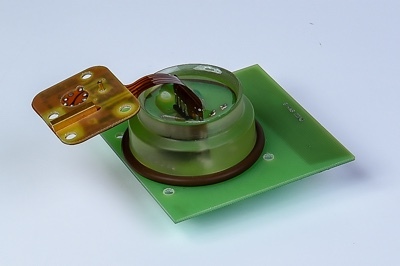 Epoxy feedthroughs allow designers and engineers to procure a feedthrough built for the specific task, rather than to accommodate off-the-shelf connectors that are rarely ideal for the specific requirement. Off-the-shelf connectors and feedthroughs impose restrictions on the number and gauge of conductors, as well as the geometry of the device. The use of epoxy-based feedthroughs opens the door for virtually any combination of conductors, tubes, fiber optic cables, sizes and geometries. It’s important to use the right feedthrough for a given application. Epoxy feedthroughs are not always the right choice, and consultation with an applications expert is always recommended. But from the viewpoint of engineers and designers, epoxy-based feedthroughs usher in design freedom, prototyping, and cost advantages that once didn't exist. 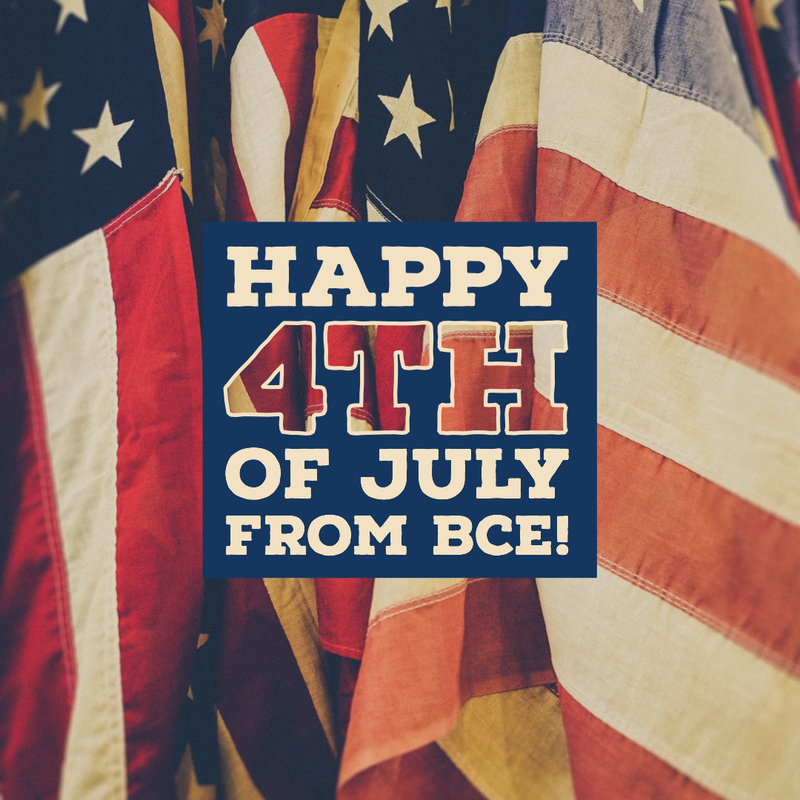 Happy Independence Day from all of us at BCE. Advances in analytical processes, medical research, and semiconductor processing continually refine the manufacturing capabilities for vacuum systems and components. The need to monitor and control processes is increasing, and getting the required power and control signals into vacuum chambers is increasingly difficult. Devices known as vacuum feedthroughs are used to pass electrical signals, light beams, or pure gases inside a vacuum chamber. 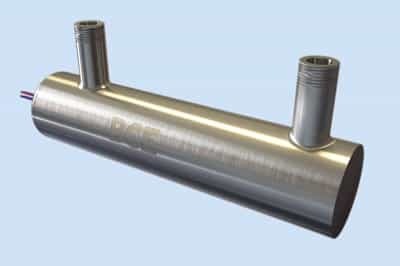 Leakage through or around the vacuum feedthrough cannot be tolerated as the vacuum seal is critical to preventing contamination and insuring process integrity. 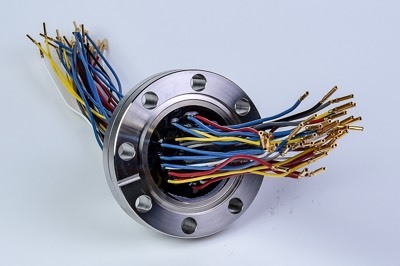 Glass-to-metal and ceramic-to-metal seals, traditionally the preferred technology, are increasingly problematic - not because of their performance, but because they are constrained by size, geometry, flexibility, and electro-magnetic shielding options. Engineers worked within this reality simply because there were no viable alternatives. Fortunately though, new, advanced sealing epoxy compounds were developed that provided exciting opportunities for vacuum feedthrough manufacturers. Today's epoxy vacuum feedthroughs provide the virtually the same performance as their glass and ceramic cousins in low to medium temperatures. Epoxy vacuum feedthroughs offer designers and engineers an excellent alternative in terms of customization and specialization. Shapes, angles and curves are not a problem. 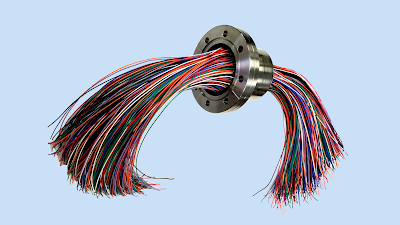 Virtually any kind of shielded wire or cable can be used. Custom epoxy vacuum feedthroughs can be quickly provided in very small quantities for prototyping and R&D. 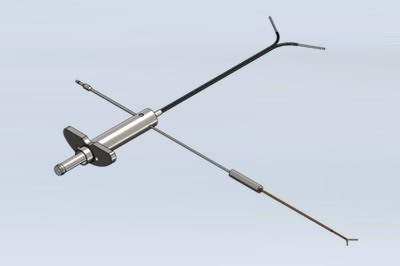 Modern epoxy feedthroughs maintain a vacuum up to 10-8 Torr, with temperatures up to 200°C continuous (300°C intermittent), and also meet NASA's outgassing requirement of <1.0% Total Mass Loss (TML). Liquid epoxy's ability to flow and fill spaces thoroughly provides it's advantage, and in most applications, an epoxy feedthrough can be used where a glass-to-metal or ceramic feedthrough is used - the only notable exceptions are in very high temperature applications or where organic compounds are not allowed. Designers and engineers no longer have to think within the constrained world of glass-to-metal and ceramic-to-metal feedthroughs. Epoxy feedthroughs are a new, exciting player in town, and their lower cost, easy prototyping and more flexible design capability make them a very attractive alternative. Technology advances rapidly and new discoveries in material science, medicine, pharmacology, biology and semiconductors are being made every day. 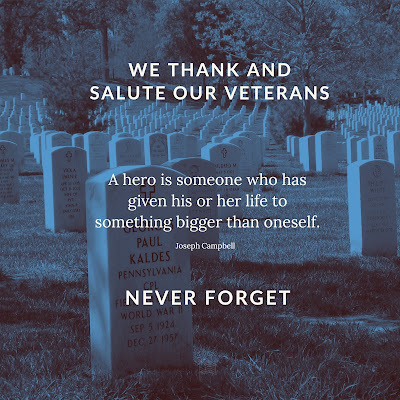 Along with these advancements in technology comes new treatments, medicines, materials, and processes. Original equipment manufacturers (OEM's) of analytical, semiconductor, biomedical, life-science, and aerospace equipment continually design new equipment to apply and leverage these discoveries. Pressure to produce new machines offering greater efficiencies, compactness, and greater production is always present. Each item in the precedent design undergoes scrutiny and very often has be modified to a new fit, form, or function. 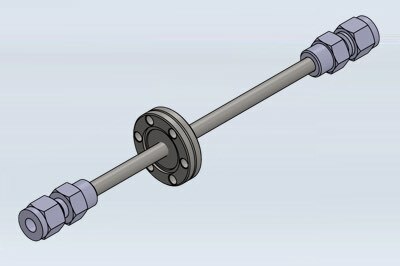 New components are needed to meet the new design requirements. 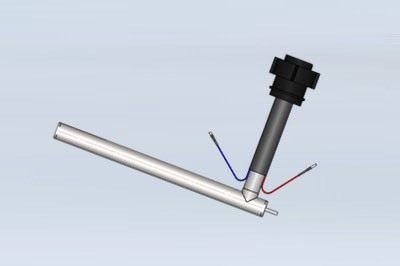 The application of localized electric heating elements is one area that OEM design engineers find themselves navigating in unchartered waters. 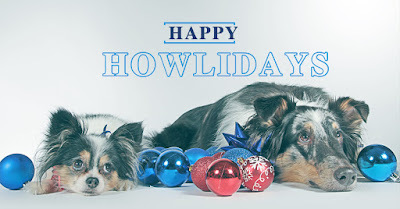 Very logically, they often attempt to use an off-the-shelf cartridge, silicone rubber, or mica heaters for their specialized heating requirement. Unfortunately this approach leads to compromises in layout, packaging, and performance. A much better alternative is considering a custom heating element, developed in consultation with an experienced custom heater manufacturer. with no brazing or casting. Front-end, practical design review to optimize manufacturability. Partnerships and alliances with platers, brazers, casters and heating element manufacturers. plug, and internal RTD sensor. The heater manufacturer partner provides critical guidance in areas such as material selection, power requirements under load, temperature vs. time data, watt density and packaging. With their help, high performance, precise fit, and long heater life are better ensured. By choosing a custom electric heating element design, the OEM gets exactly what they need in terms of form, fit, and function plus scores of other benefits derived from the heater vendor's tacit knowledge and past experiences.